April 2018 Vol 6 No. 2. 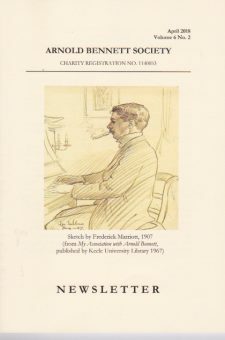 The front cover taken from My Association with Arnold Bennett, a sketch by Frederick Marriott in 1907, first published by Keele University Library in 1967.